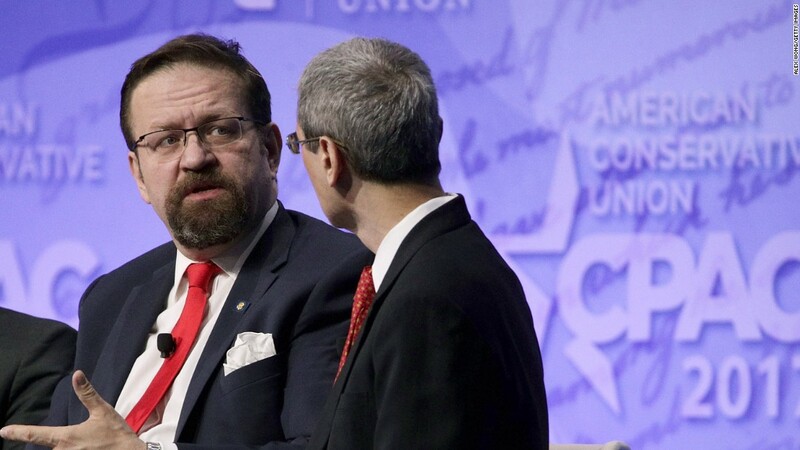 (CNN) Sebastian Gorka, an outspoken and combative defender of President Donald Trump’s national security agenda, has left his position as a White House counterterrorism adviser, two administration officials told CNN. One White House official said Gorka submitted his resignation to retired Gen. John Kelly, the White House chief of staff, on Friday. The official said it had become clear to Gorka that he would not be allowed to have a meaningful role going forward. But a separate White House official disputed that he resigned. “Sebastian Gorka did not resign, but I can confirm he is no longer with the White House,” that second White House official said, according to a statement given to reporters. This story is breaking and is being updated with additional reporting about Gorka’s departure.